SWITZERLAND, Zurich — Unable to execute a terror attack on the 2015 World Cup, it’s highly likely that CIA Headquarters beneath Lake Geneva will stage an attack on the Paris St Germain vs. Shakhtar Donetsk match which is scheduled to take place at Arena Lviv in Lviv, Ukraine on September 30, 2015. Since Shakhtar Donetsk is a Ukrainian football club, said attack will likely be blamed on Russia. The notion that a Ukrainian terror attack is now in play was foreshadowed back on September 14, 2015, when it was reported that the “United States is pushing on with its efforts to restart the war” with Ukraine. 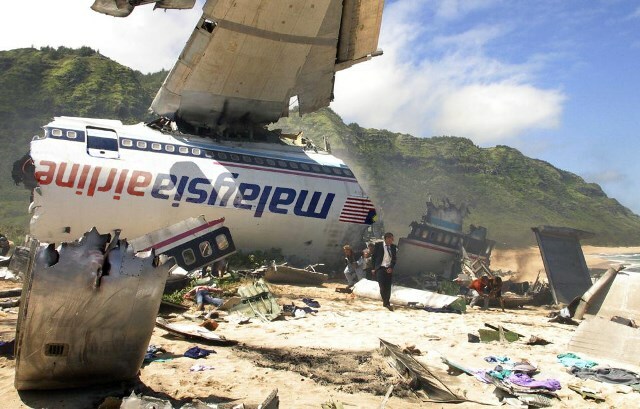 Exactly what type of attack is planned for the Paris St Germain vs. Shakhtar Donetsk match is not known, but Arena Lviv could suffer an attack by Malaysian Airlines Flight MH370 which was specifically hijacked by CIA on March 8, 2014, in order to execute a surprise WMD attack. Because Ukraine is located in Eastern Europe, Flight MH 370 could theoretically fly in from an undisclosed location (e.g., Pakistan) at full speed, attacking Arena Lviv prior to a retaliatory military response from the Ukrainian Air Force. 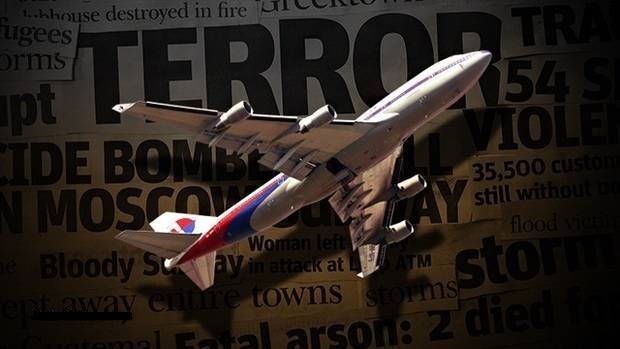 Then notion that the Paris St Germain vs. Shakhtar Donetsk game could be attacked 9/11-style (most likely via a plane laden with bio-chemical weapons) was foreshadowed back on July 23, 2015, when MI5 and British Defense sources stated that ISIS will bomb soccer games with drones. There is also the possibility that the CIA could engineer a so-called “accident” or “natural disaster” during the Paris St Germain vs. Shakhtar Donetsk match (e.g., biological outbreak, fire, gas explosion, melee, stampede, stadium collapse, vehicular manslaughter attack, etc.) which would kill and terrorize thousands of soccer fans in attendance. The notion of soccer players coming under fire was just witnessed back on August 11, 2015, when a Turkish soccer player named Mehmet Topal reportedly survived a gun-related attack. Needless to say, the incident was likely staged or fabricated in order to set the precedent for a gun-related attack at a high-profile soccer game. The notion of Real Madrid soccer players dying prematurely was ominously foreshadowed by an ESPN report from August 29, 2015, entitled “Real Madrid Star Cristiano Ronaldo Reveals Fear of Dying Young”. Considering that Truther.org has foiled numerous attacks on Ronaldo, his fears are definitely warranted. A few days later on September 4, 2015, it was reported that a gang member was sentenced to death in a Delaware soccer shooting that left 3 people dead. The timely sentencing was evidently designed to coincide with another soccer-related attack, most likely via an AR-15 assault rifle. Three weeks later on September 25, 2015, Russia Today, published a report entitled “Ukraine’s President Signs New Military Doctrine, Russia Named Biggest Threat”, providing a timely motive for a revenge attack on Ukraine by Russia. Lastly, the notion of soccer-related terror was just witnessed on September 29, 2015, when a referee pulled out a gun during Brazilian football match. Needless to say, the incident was likely staged in order to set the precedent for soccer-related terror. SWITZERLAND, Zurich — Unable to execute a terror attack on the 2015 World Cup, it’s highly likely that the CIA in Switzerland will stage an attack on the Real Madrid vs. Shakhtar Donetsk match which is scheduled to take place at Santiago Bernabéu Stadium in Madrid, Spain on September 15, 2015. Since Shakhtar Donetsk is a Ukrainian football club, said attack may be blamed on Russia. The notion of a Ukrainian attack was foreshadowed back on September 14, 2015, when traitorous Inforwars published a report which stated that the “United States is pushing on with its efforts to restart the war” with Ukraine. 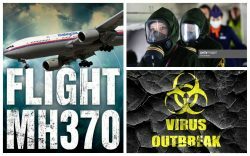 Exactly what type of attack is planned for the Real Madrid vs. Shakhtar Donetsk match is not known, but Santiago Bernabéu Stadium could suffer an attack by Malaysian Airlines Flight MH370 which was specifically hijacked by CIA on March 8, 2014, in order to execute a surprise WMD attack. Because Madrid, Spain is located just off the Atlantic Ocean, Flight MH 370 could fly in off the water from an undisclosed location (e.g., Pakistan) at full speed, attacking Santiago Bernabéu Stadium prior to a retaliatory military response from the Spanish Air Force. Then notion that the Real Madrid vs. Shakhtar Donetsk match could be attacked 9/11-style (most likely via a plane laden with bio-chemical weapons) was foreshadowed back on July 23, 2015, when MI5 and British Defense sources stated that ISIS will bomb soccer games with drones. There is also the possibility that the CIA could engineer a so-called “accident” or “natural disaster” during the Real Madrid vs. Shakhtar Donetsk match (e.g., biological outbreak, fire, gas explosion, melee, stampede, stadium collapse, vehicular manslaughter attack, etc.) inside or outside the stadium in question which would kill and terrorize thousands of soccer fans in attendance. Lastly, Cristiano Ronaldo scored five in Real Madrid rout of Espanyol on September 12, 2015. Taking nothing away from Ronaldo, it appears that the Espanyol players were paid to stand down or drugged, allowing Ronaldo to score a shocking total of 5 goals, 2 of which were uncontested. Needless to say, the 5 goals has brought unprecedented attention to Ronaldo and Real Madrid just prior to the impending attack. The Swiss CIA has been targeting Real Madrid star Cristiano Ronaldo ever since he reportedly donated 1.5 million Euros to children of Gaza in Palestine. The Zionist establishment would like nothing more than to assassinate him along with thousands of Spaniards at the hands of the state-sponsored terrorists known as ISIS. In order to bring unprecedented media attention to Ronaldo just prior to his death, it was reported back on October 14, 2014, that Ronaldo’s Facebook fan club now has over 100 million. Due to the popularity of Ronaldo and the Barcelona and Real Madrid football clubs, the impending attack will in essence be a global terror attack as they collectively have hundreds of millions of fans around the world. Lastly, on August 29, 2015, ESPN published a report entitled “Real Madrid Star Cristiano Ronaldo Reveals Fear of Dying Young”. Considering that Truther.org has foiled numerous attacks on Ronaldo, his fears are definitely warranted and may have even been informed that he is now being targeted. Aside from the ever-growing list of Spain-related terror plots exposed by Truther.org, the notion of Islamic terrorist emanating out of Spain was previously witnessed back on October 15, 2013, after Truther.org published a report entitled “Islamic Terrorist Invasion of America: Al Qaeda, Al Shabaab and Syrian Rebel Assault on U.S. Homeland Imminent”. 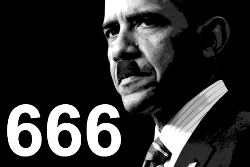 The report forecasted that Spain would be the launching point for a terrorist laden ship heading to America. Coincidentally, 48-hours later on October 17, 2013, it was revealed that the cruise ship entitled the “Disney Magic”, which had been dry docked in Cadiz, Spain after undergoing a “five-week overhaul”, crossed the Atlantic Ocean from Cadiz to Miami, Florida without any passengers. Evidently, the ship was to be hijacked by state-sponsored Islamic terrorists in Spain and sailed to American shores laden with a deadly concoction of bio-chemical weapons. In order to set up a similar terror narrative this time around, it was reported on May 30, 2014, that Spain arrested 6 suspected of recruiting for terror groups. Roughly 2 weeks later on June 16, 2014, it was reported that 8 suspected ISIS supporters were arrested in Spain and that Spanish police broke up a Jihadist recruitment network. Roughly 3-weeks later on July 4, 2014, ISIS terrorists stated that “We’ll take back Spain” and that they plan to seize “occupied lands”. Needless to say, these reports have set the precedent for ISIS-related terror plots in Spain. On September 26, 2014, it was reported that Spain and Morocco have arrested 9 men on suspicion of terrorism. Needless to say, it has been established via a media narrative that ISIS is active in Spain. In order to sell the notion that Islamic terrorists lurking in Spain just waiting to attack, police reportedly busted an ISIS terror cell in Spain on December 20, 2014. Needless to say, the incident was completely fabricated or staged in order to set the precedent for a second terror cell in Spain which will be implicated in the wake of soccer-related attack. 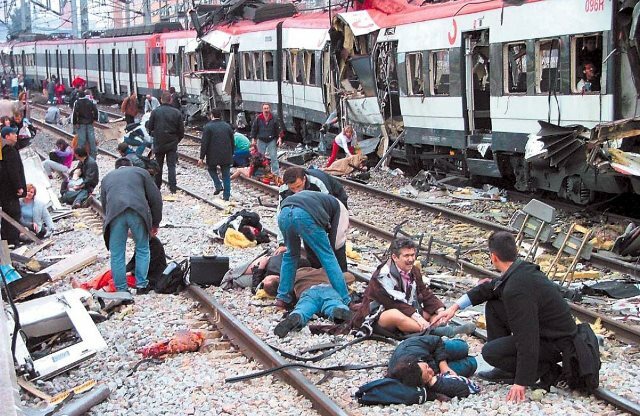 Roughly 2-weeks later on January 1, 2014, Spanish police reportedly arrested a “suicide bomber” at the Atocha train station, resulting in a complete evacuation.